A complementary feed paste to support the natural intestinal balance in dogs. Canikur Pro Supplement For Dogs - 15ml is a Prescription Only Veterinary Medicine and by law requires a prescription from your vet. A complementary feed paste to support the natural intestinal balance in dogs. 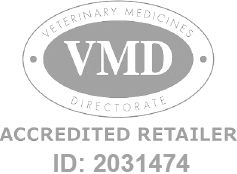 Also suitable for use in stressful events such as travelling and visits to the vets.